Purchase this product now and earn 2,290 Reward Points! Multiple randomized, double-blind, placebo controlled studies have reported statistically significant positive results using calcium supplementation to help reduce the risk of osteoporosis for both women and men. Calcium has also demonstrated the ability to provide a supportive effect on cardiovascular health by promoting healthy receptor function and healthy lipid metabolism. 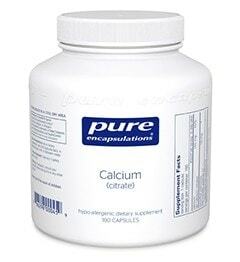 Additionally, calcium has been associated with supporting distal colon health.